Established in 1991, Michael Maher Contracting & Repairs Ltd is a family run business based in Doon, Co Limerick. From humble beginnings, the company has grown over the years and having started as an agricultural contractor, the Maher family now provide an array of services across a number of industries. 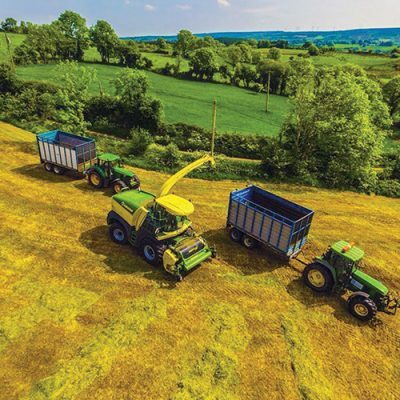 Michael Maher purchased his first round baler in 1989, a Class Rollant 44 and to this present day has gone on to run over 30 Class round balers. And over the years he has expanded his customer base from just a handful of customers in his first year to over 60 clients now. 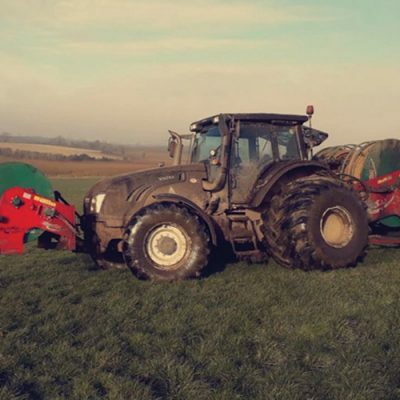 As stated, agricultural contracting was the business’ main service during the early days, but that changed about 17 years ago when it was decided to move towards more and more construction based work while continuing to carry out agricultural work. 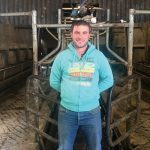 Looking after the plant work is Michael’s son Paudie who spoke to Irish Tractor about the services that they provide for their many long standing customers. 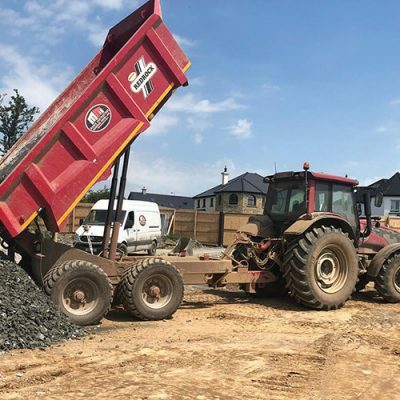 “We specialize in groundwork and civil engineering and have worked, numerous large companies including Murphy International, J Murphy & Sons, BAM Building, BAM Civil, Genesis Homes, Musgraves Cash & Carry, Stryker, Irish Water and Limerick, Tipperary and Clare local authorities,” said Paudie. “Some of our more recent projects include a new contract for a hedge fund where we are doing the groundworks on a 250-housing development. We have worked on the new courthouse in Limerick for BAM, while we also have been involved with Murphy’s doing water meters. 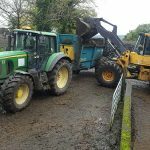 Paudie revealed that the agricultural work is something that is also one of their main focuses as they carry out work for a large customer base. To carry out all their work, the company possesses an extensive fleet of machinery, which Paudie revealed is upgraded on a regular basis. “The machinery is upgraded every couple of years, indeed we have placed a great deal of investment into the business in the last few years. 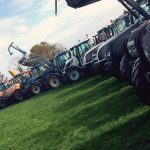 “We would have ten tractors, Takeuchi diggers, Fusion and MacHale balers, road planers and other machinery. It is important to keep the machinery in a good condition and we would do a lot of our own maintenance work. In the groundworks sector, the company have the experience to take on any job and complete to the standard that the client desires. “There are 23 employed here and a lot of those would have many years’ experience with us and they have played a big part in the success of the company. 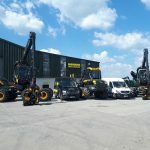 “During the recession, a lot of groundworks companies went bust, but we were fortunate to keep going and to be honest we were actually very busy during that period as we were picking up the slack by the companies that had folded. Paudie revealed that his sister Catriona looks after the administration side of the business, while he also revealed that the appointment of Willie Perry to the sales side of the business has been very effective. “Willie would do all our pricing and he certainly has helped attract more work. We are fortunate to have a good staff. It can be difficult sometimes trying to higher new workers as you don’t know what you are getting, so we try to take on lads that are recommended to us. It is important to have experience and have someone that can fit in straight away. “In the last year and a half, we have taken on seven new lads, all of who have come recommended to us and they are doing very well at the moment. Paudie is pleased with the direction that the business is going as the work continues to come in, but he stressed that they won’t be resting on their laurels anytime soon. “We are continuously pricing work. 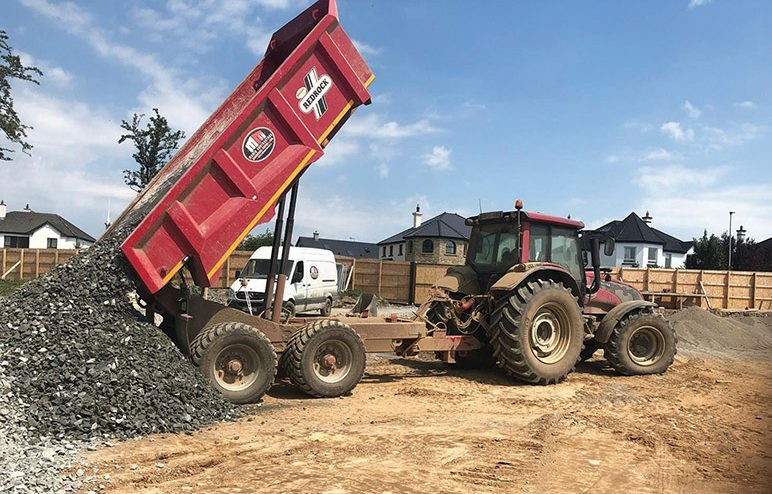 Yes, we are happy with the workload that we have on at the minute, but you have to be forward thinking in this industry,” stated the qualified civil engineer. According to Paudie, the Limerick region has taken off with regards to the construction industry as building sites are a common site around the city and further afield.